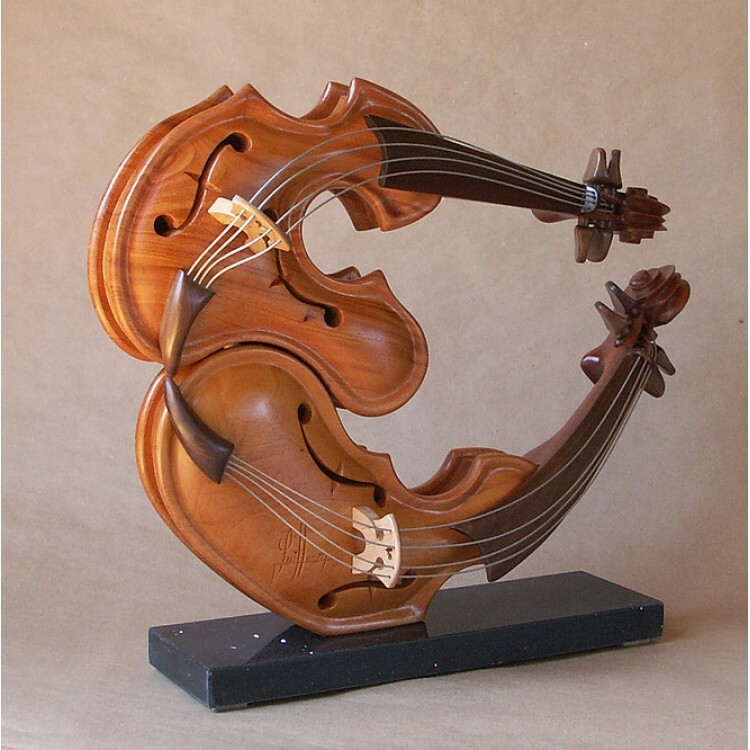 Philippe Guillerm began his professional life in Paris, France, the city where was born and lived for twenty years. 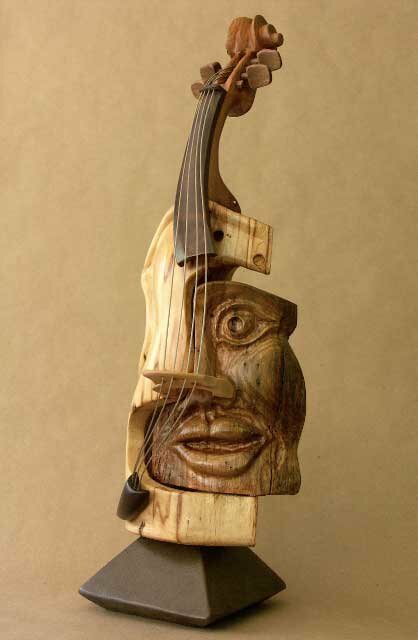 Through the years, he has traveled around the world with his wife Jacqueline and their two daughters Monique and Swanne on his forty-eight foot sailboat. 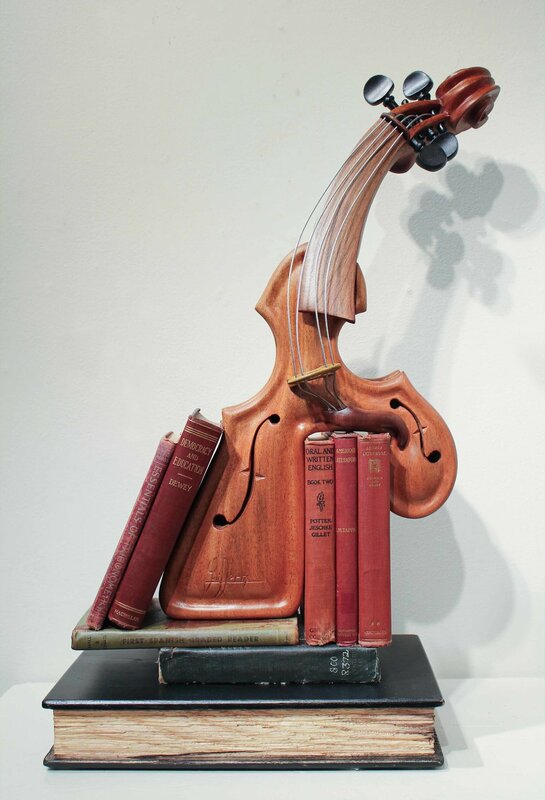 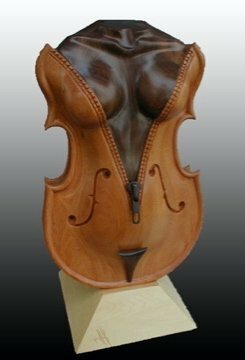 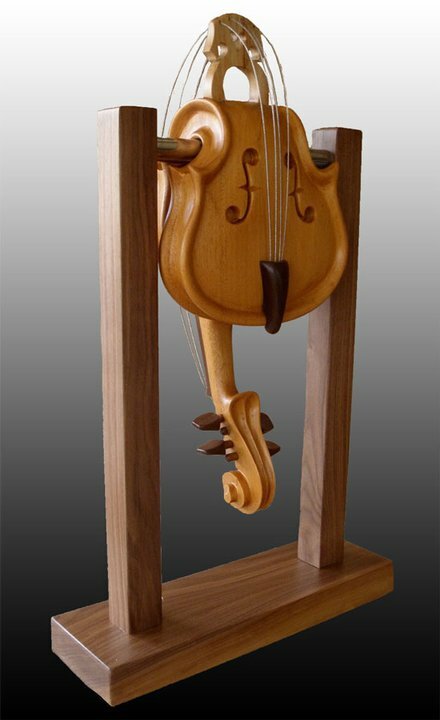 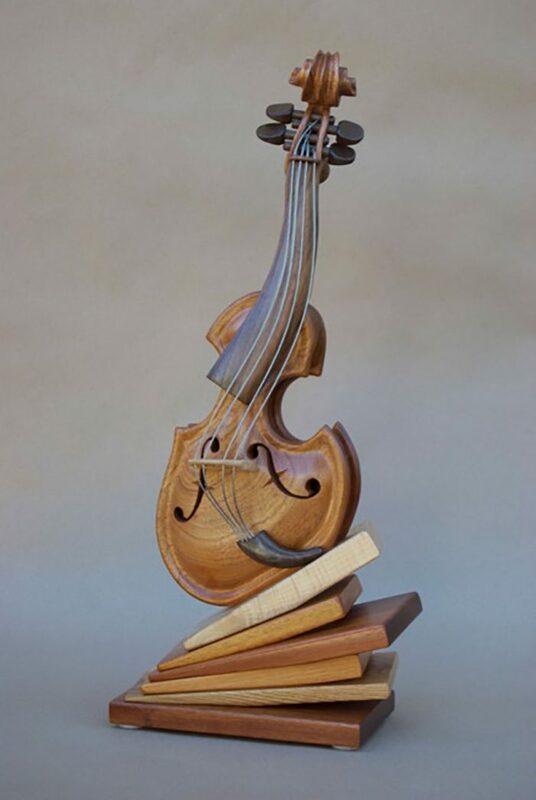 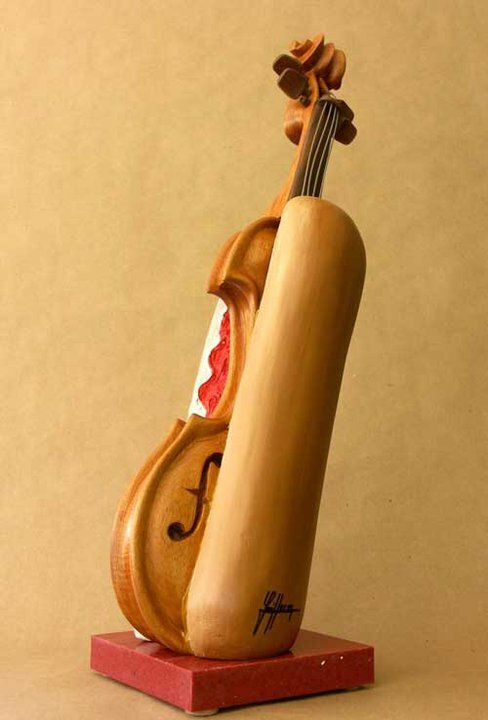 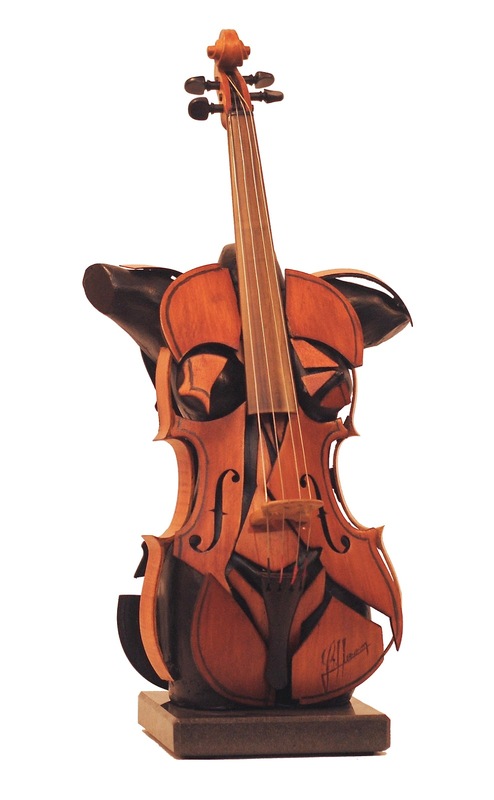 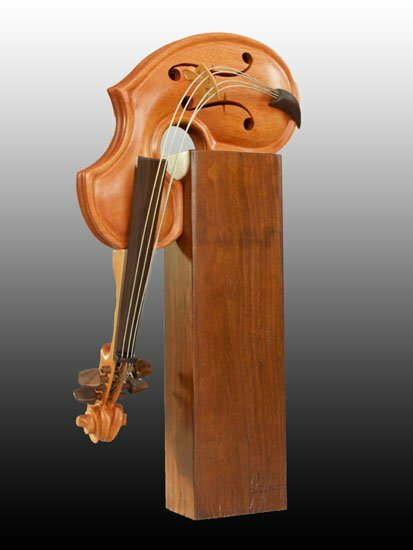 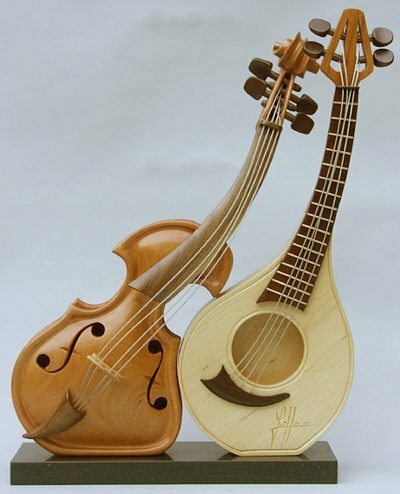 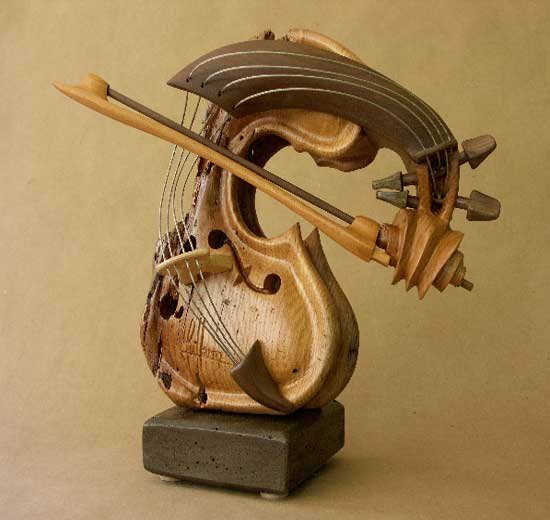 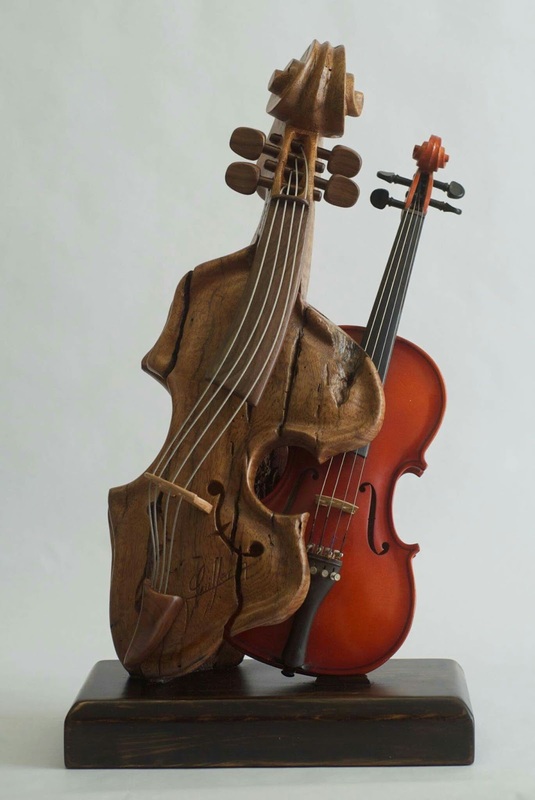 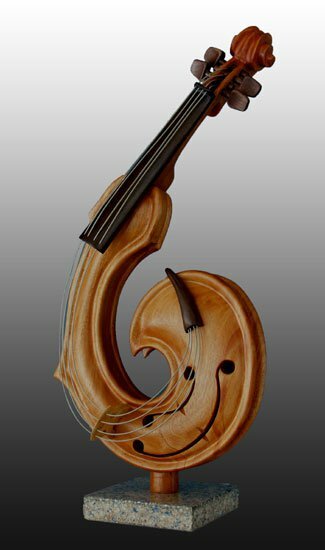 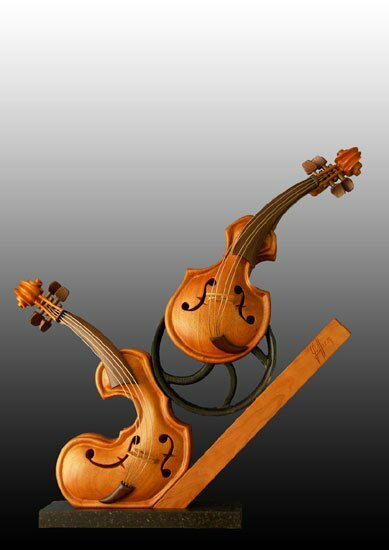 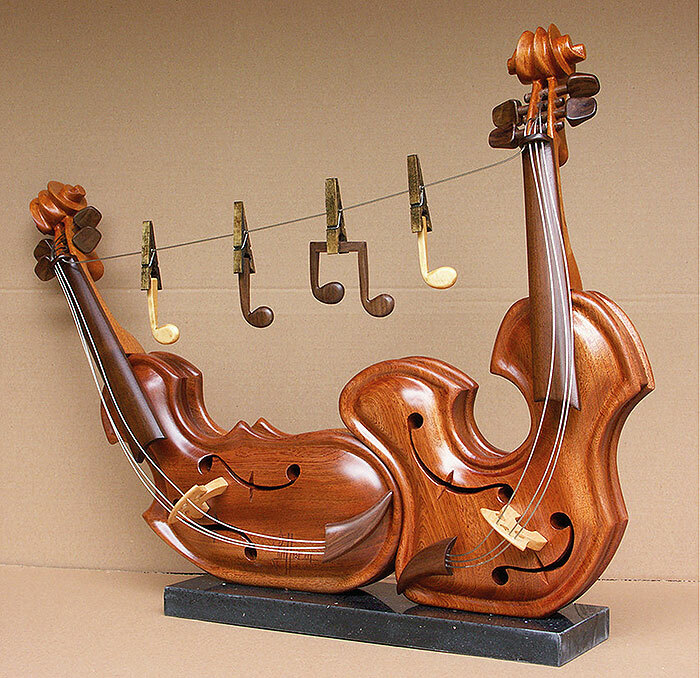 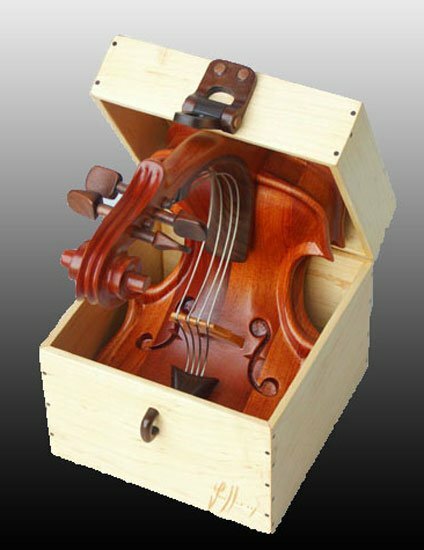 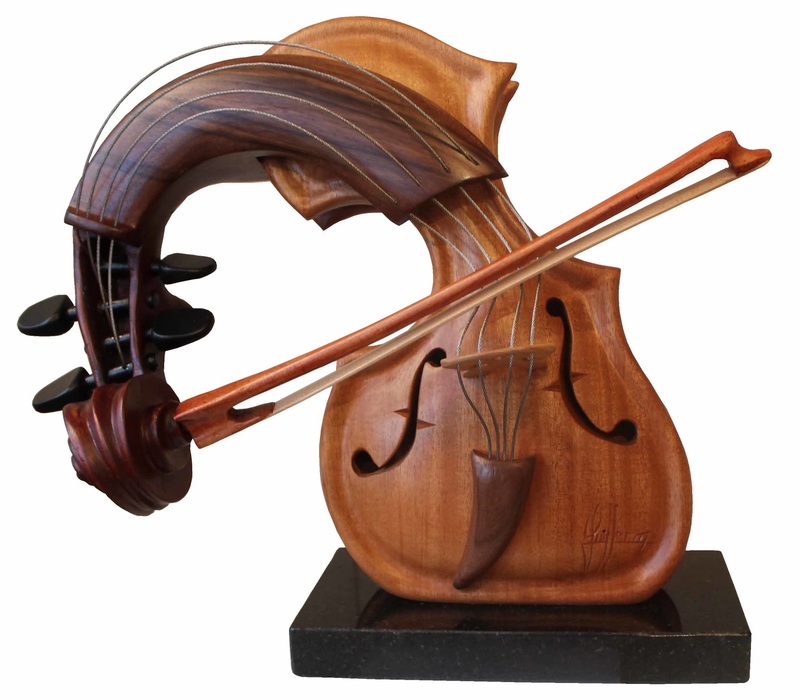 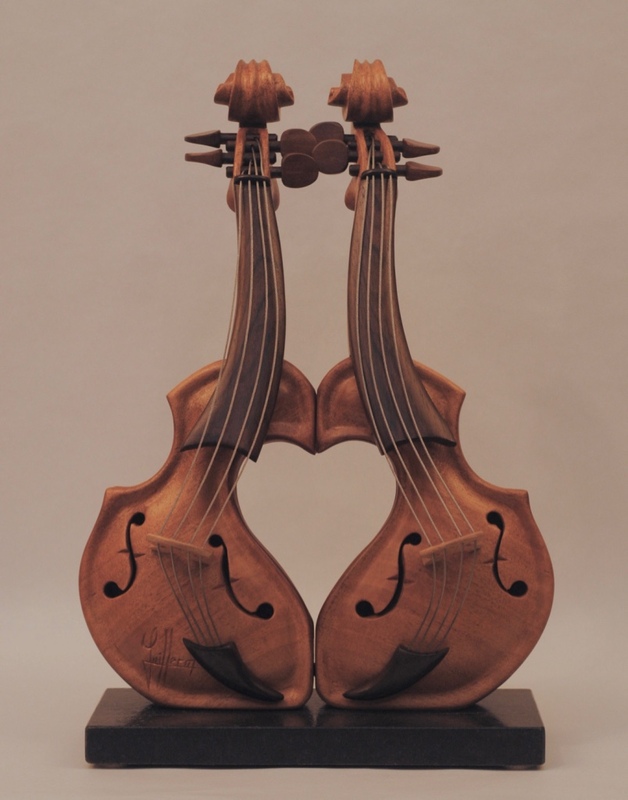 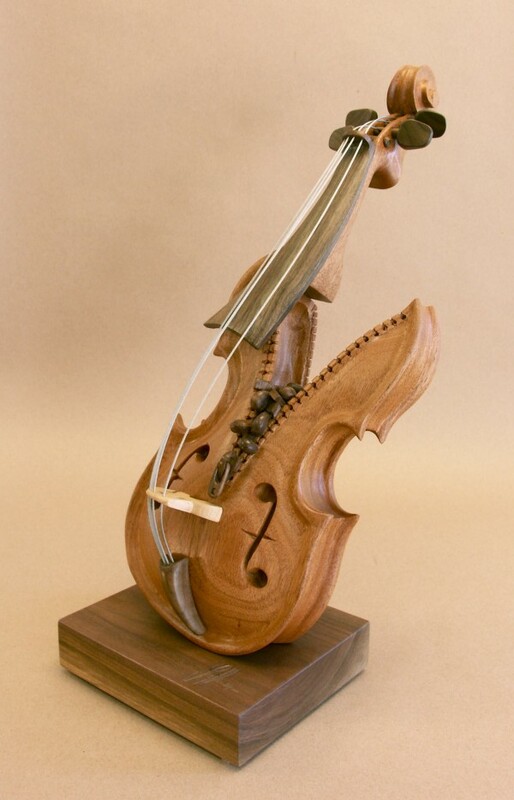 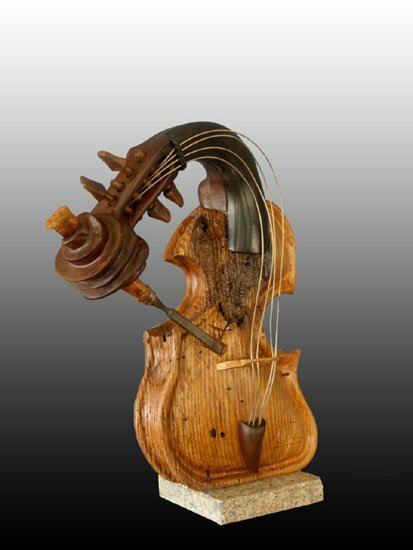 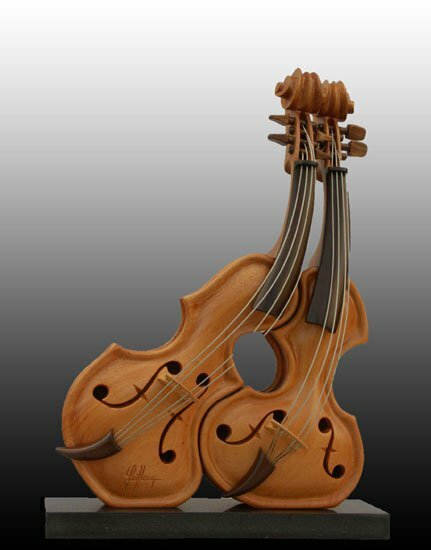 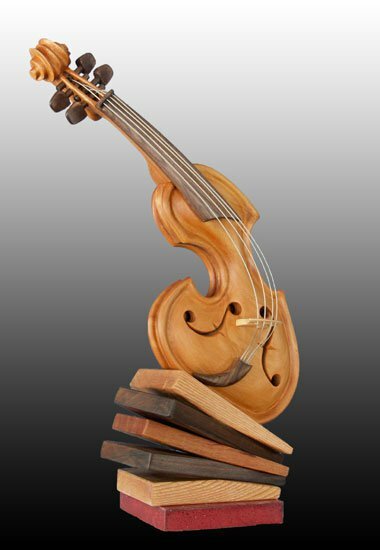 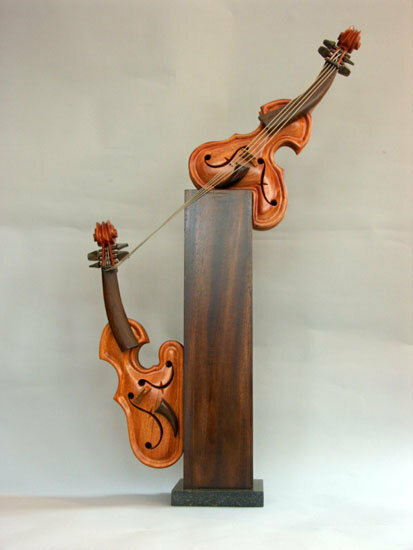 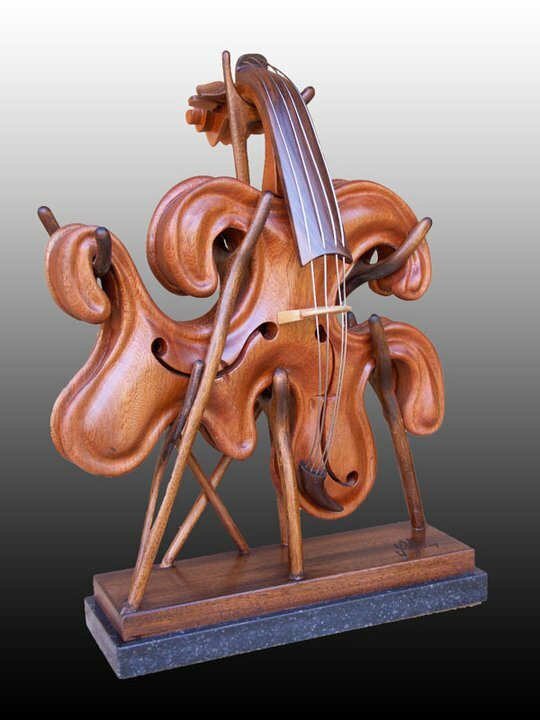 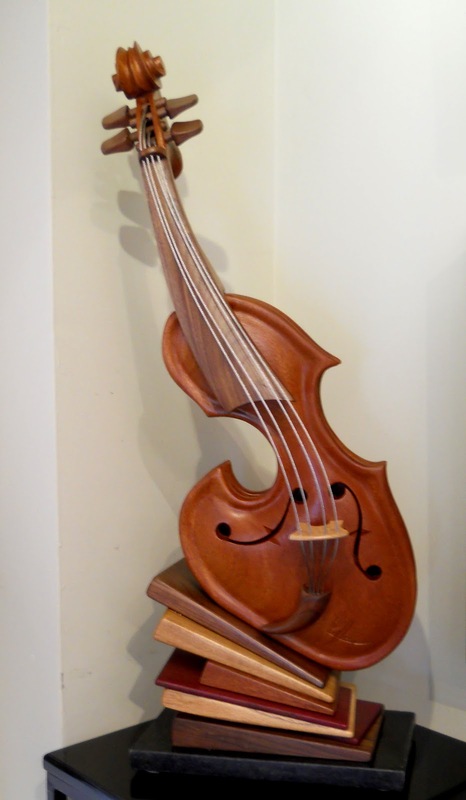 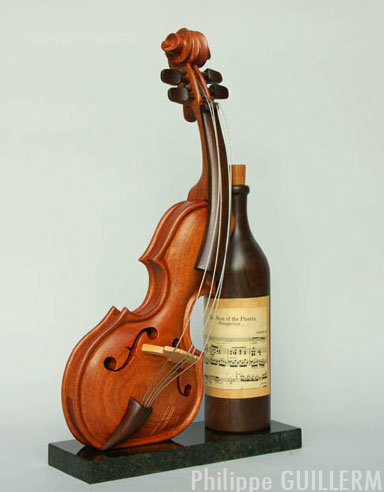 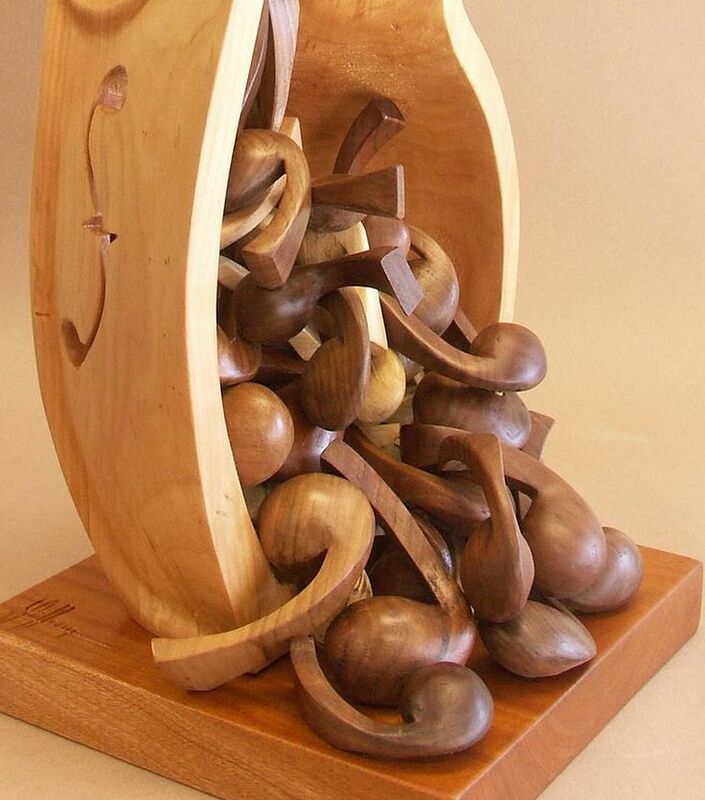 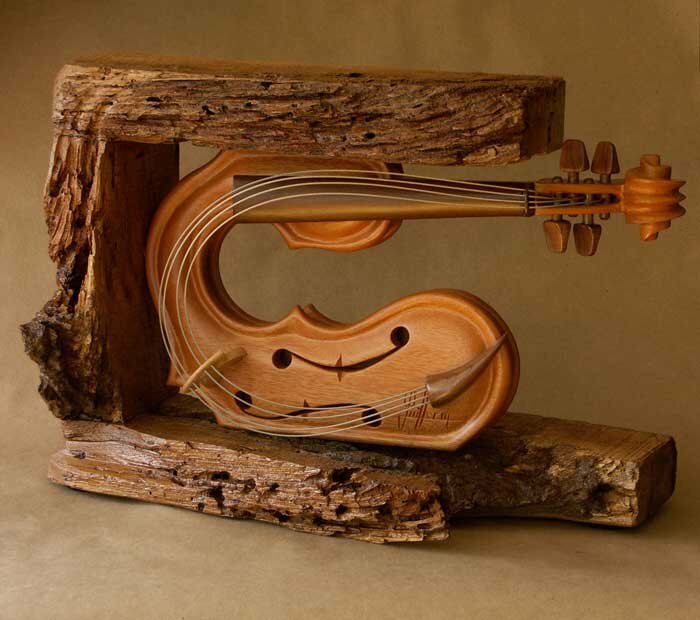 Guillerm's music-inspired sculptures are whimsical and curvaceous string instruments, he uses the theme as a way of expressing human nature and needs, you see an instrument, he sees an attitude. 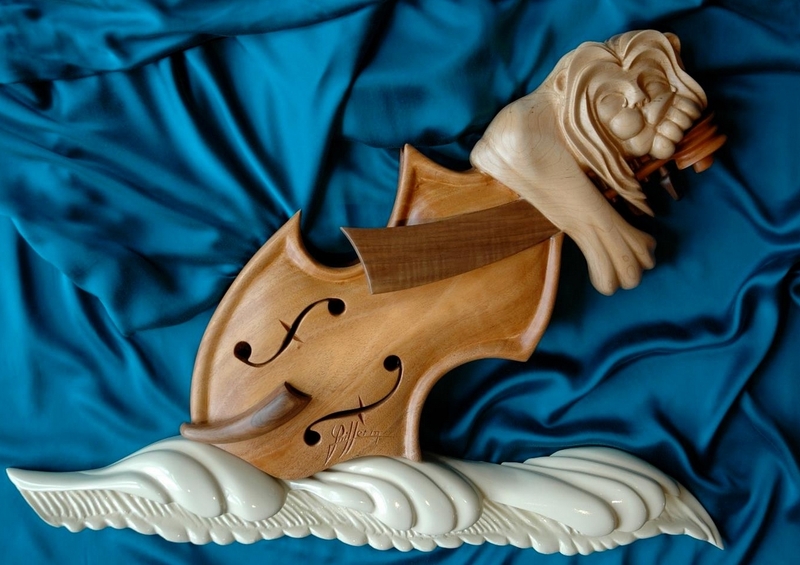 In addition to the musical theme, many of his sculptures depict sea scenes and animals. 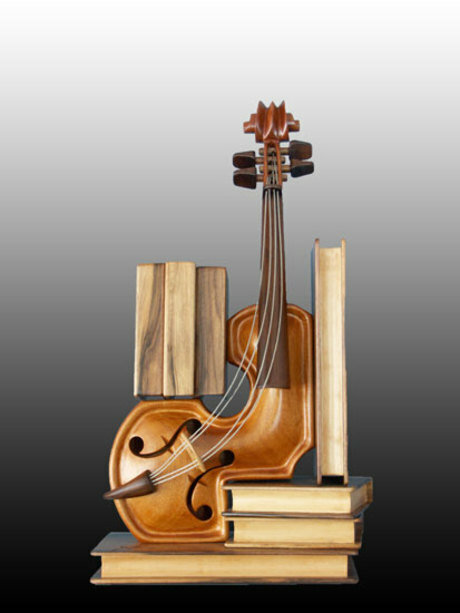 His other works include functional art like "Sculptural-speakers", finely carved furniture, large dimensional wall murals and monumental outdoor pieces. 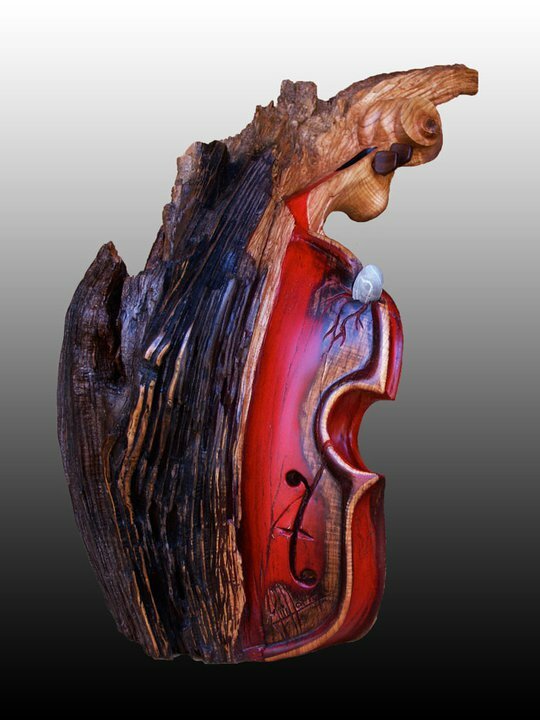 He works with exotic and local wood such as Mahogany, aspen, Jacaranda, poplar, wengue, purple heart, and walnut, using the wood's color like a painter uses paint. 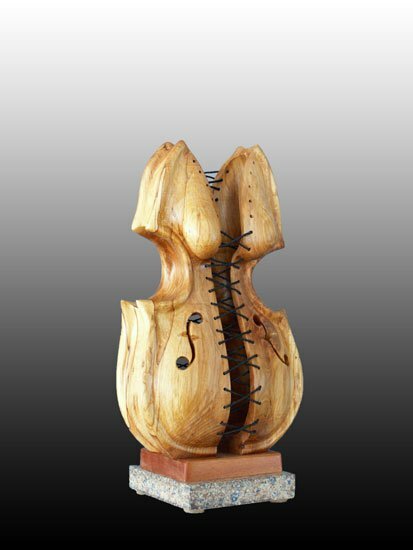 His works reflect dreams, illusions, and reality and invite the viewer to stop and reflect about human nature. 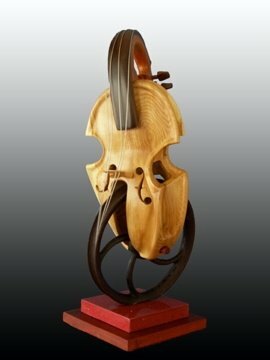 2004 - Best of Show - Port Clinton IL. 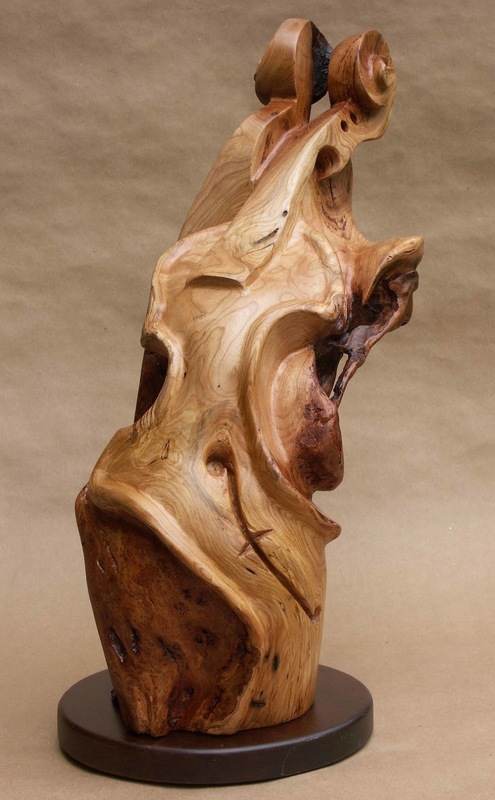 2014 - 1st Place - 2014 HVOWC Art Show - Maine. 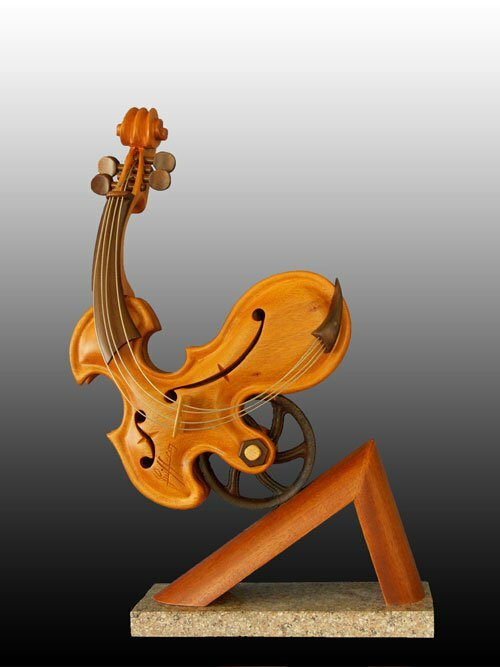 Lo scultore Francese** Philippe Guillerm, vincitore di molti premi artistici**, ha iniziato la sua vita professionale a Parigi, la città dove è nato e ha vissuto per 20 anni. 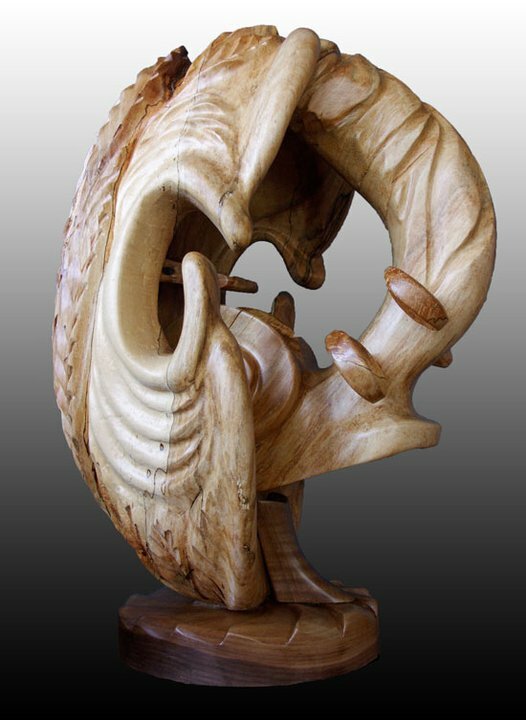 Le opere di Philippe sono state esposte in gallerie dell'Europa, Sud America, isole del Pacifico, Francia, Canada e Stati Uniti.